July is a warm month and as the days get longer, the water warms up, bait fish move in, the rains begin and then the magic happens. 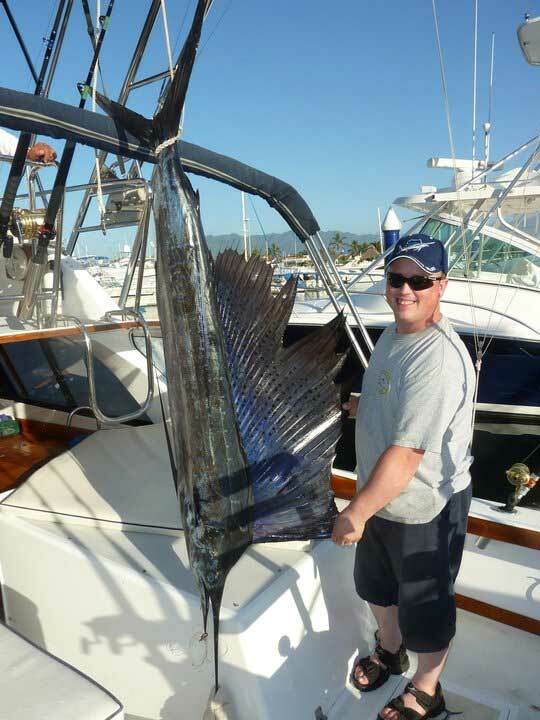 Anything is possible in Puerto Vallarta´s World Famous Fishing Grounds. Tourism is down as would be expected since July is hot and humid, but the fish love it and for those who can deal with the heat and the humidity, then Puerto Vallarta is the place to be if you are looking for World Record sized fish. July marks the beginning of Marlin Season. Black and Blue Marlin begin to move in as the seasonal rains begin. Water temperatures warm to above 84 degrees, the water is Sapphire blue and full of bait! This is Fishing´s High Season and it is just beginning. With Marlin over 500 lbs, they are not the only species that people find on the ¨Bucket List¨. With Yellowfin Tuna, Sailfish, Dorado, Cubera Snappers, and the list goes on. If you are serious about your fishing, you are sure to have the ¨Bucket¨ a little fuller. July also marks the Sixth international Tournament in Bahia de Banderas held in the La Cruz De Huanacaxtle Marina once more (July 12th through the 14th). It´s an early summer fishing tournament, but it´s right on time for those with the desire and hunger to catch one or several of the most desired fish species in the entire world. From this point forward there will be Fishing Magazines, fishing shows, fishing tournaments, fishing everything. The only thing that is missing now is you. The fish are here, the hotels are cheap and the city is yours. So take the time, take some money and enjoy what Puerto Vallarta has to offer.